I saw an idea for making bath time super fun on Pinterest – turn down the lights and throw a few glow sticks in the water with the kids. 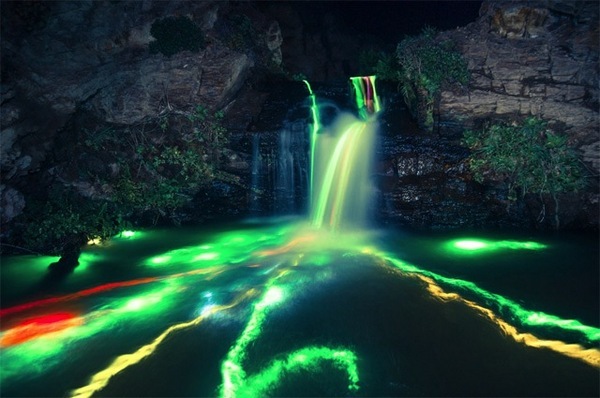 I tried it – the kids did have fun bathing in glowing green water. Well you can always count on someone taking an idea and amping it up to a whole new level. Glow sticks in the bath? That’s child’s play. Check this out. 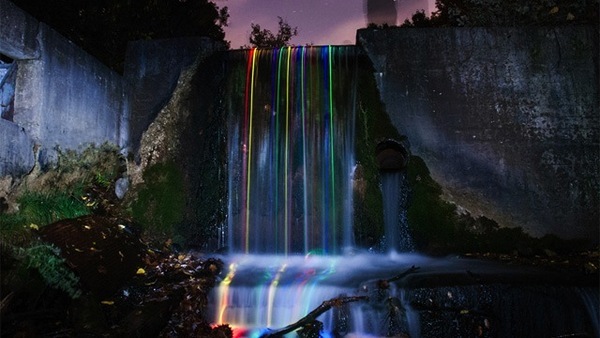 Photographers Sean Lenz and Kristoffer Abildgaard of From the Lenz, throw glow sticks over waterfalls. And then they set their camera to take a long exposure photograph (between thirty seconds and seven minutes). 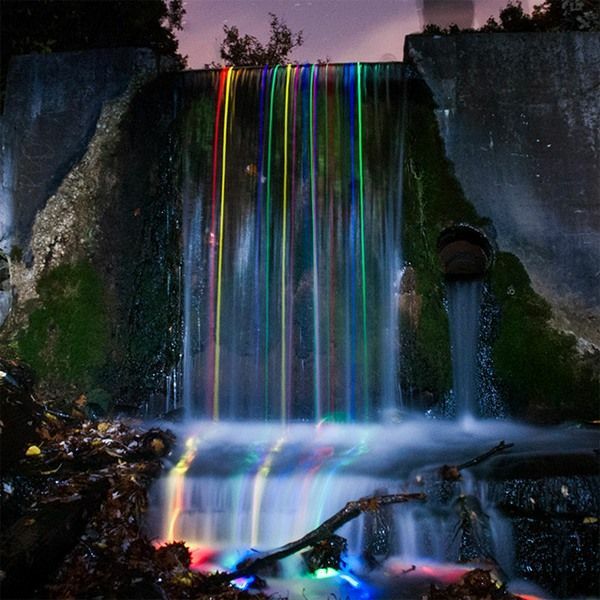 The results are rainbow rivers, glowing in the night. The project is called Neon Luminance and Lenz and Abildgaard have also experimented with road flares, headlamps and moonlight. Their images are mesmerizing.